Chip's is a diner chain in Connecticut, and I love trying new things when I go there. I had Patriotic Pancakes and instead of full stack (5 pancakes), I got a short stack. 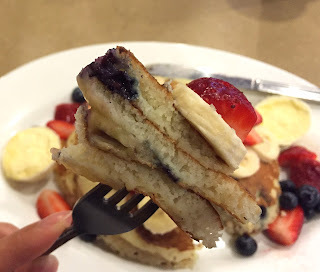 3 buttermilk pancakes were covered in blueberries, strawberries and bananas. There're 2 mini cups of butter, but pancakes were under fresh fruits so that it's hard to spread it. 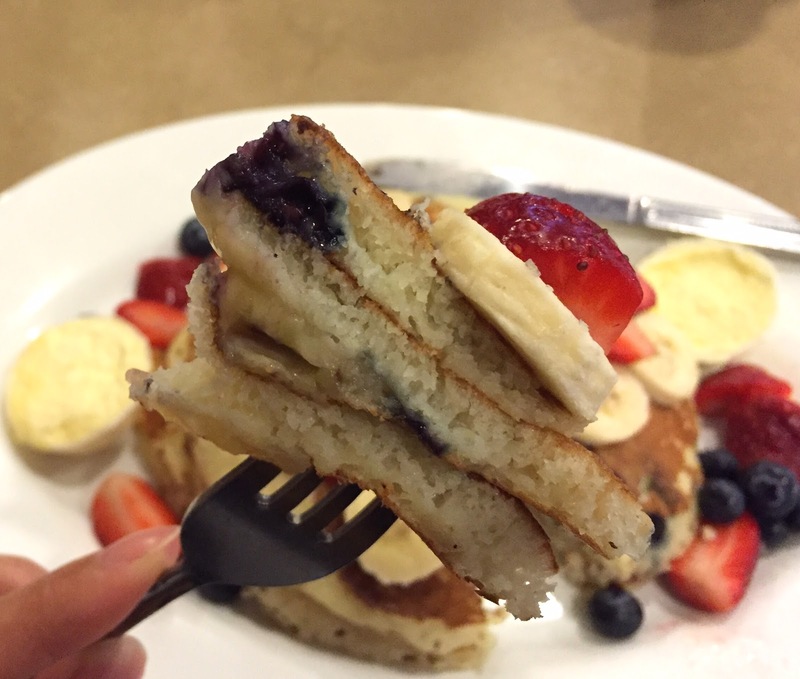 In the pancakes, there're fresh blueberries, too. Slightly salty buttermilk pancakes with fresh fruits inside and top, and as they're not fruits compote, I enjoyed the natural sweetness and some sourness with this moist pancakes.